Despite owning both an FrSky Taranis and a Spektrum DX-18, I have always preferred flying with my DX-18. The reason may be as simple as many years ago I invested a ton of money into this thing and I want to get my worth out of it – but I like to think that the reason is that the DX18 is simply the nicer radio. Bias or not, I feel like I fly with more precision on my DX18, and I infinitely prefer it’s configuration menus and set-up procedures. One thing that always gets me, though, is the lack of a signal strength indicator when using Spektrum satellites on my miniquads. 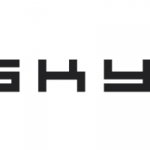 FrSky has always done this extremely well – you fly out too far, your transmitter speaks to you: “Signal strength low”. You turn around and fly back, simple as that. Not so easy with Spektrum though – and as a result I’ve had my quad drop out of the air several times due to radio reception issues. I think this is one of the big reasons why Spektrum has such a bad rap with regards to range. I don’t know about other Spektrum radios, but my DX-18 gets fantastic range – very compareable with the Taranis in most situations. However, there’s nothing more frustrating than having your quadcopter drop out of the air with no warning. It gives you the sense that something is wrong. I wanted to fix that by adding a signal strength indicator onto my OSD for my Spektrum satellites. 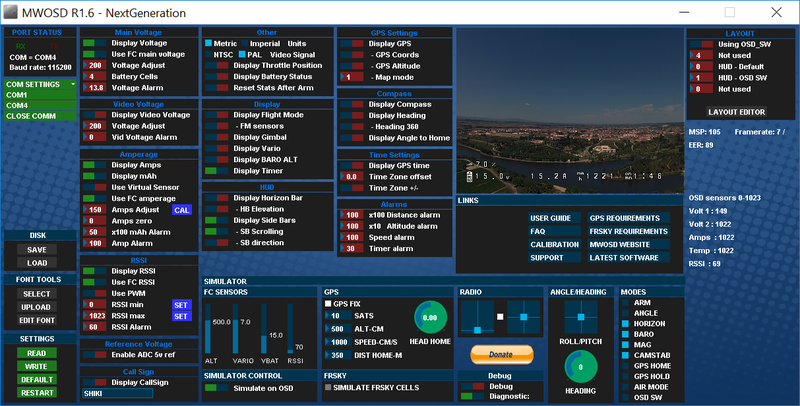 The change that enables this feature to work can be found in Betaflight 3.1. 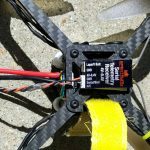 So, if you haven’t updated your quad and you want to try this out – do it now! This method of getting an RSSI currently only works on receivers specifically designed to be satellites. This means any of the LemonRX satellites (including the diversity satellite) and any Spektrum satellite. It does not currently work on Spektrum race receivers. We hope there may be a method to get this to work with these types of receivers in the future and this article will be updated if there is. Your Spektrum satellite must have been bound to your RC TX using another RX. 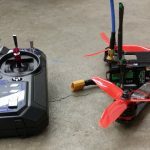 You cannot bind the satellite using Betaflight’s built in bind mode because this puts the satellite into a different mode where it does not report signal strength. For more information on how to bind your satellite using another RX, you can check out our Spektrum satellite configuration article. Ignore “set spektrum_rssi_enabled = 1” – This is no longer necessary. Fast forward to 0:30 to see one instance where I nearly lost signal when flying behind a tree. I’m going to go over a general overview of how this feature works in this section. I highly suggest you read it, even if you are not interested in technical details because this signal strength counter does not work like ones you may be familiar with. Instead of outputting a signal strength value, Spektrum satellites output what is called a “fade counter”. This is a count of the control commands sent from your transmitter to your receiver which were not received. For example, if you fly behind a tree far away, there may be a few milliseconds where your RX is no longer within radio range of your transmitter. During this time, the packet loss counter will start increasing. The RSSI value that you will see onscreen with this software works by generating a signal strength value between 0 and 100 based on how many packets have been lost recently. This means that unless you are flying far enough away to cause packet loss, the RSSI value will always read 100% signal strength. Put another way: if you see the RSSI value decrease below 100% – you are in an area of signal loss and should turn back immediately. Finally, if you ever fully lose reception with your quad, the RSSI counter will freeze. It will not indicate 0. In this situation you’ll probably know what happened though – as your quad is probably tumbling out of the air.